Sue S. McConaha, 84, of Decatur, IN, passed away on Monday, November 12, 2018 at Parkview Regional Medical Center in Ft. Wayne. She was born on April 30, 1934, in Ft. Recovery, OH, the daughter of the late Roman C. and Edith M. (Miller) Steinbrunner. On June 30, 1957, she married John E. McConaha and after 40 years he preceded her in death on February 18, 1998. 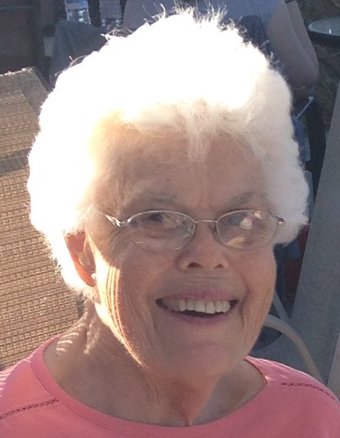 She was a recent member of Zion United Church of Christ; prior to that she was a nearly 60-year member of the former First Presbyterian Church in Decatur. It was here that she held the offices of deacon, elder, and served on the session. As a parishioner of First Presbyterian, she helped out wherever she was needed and for many years helped organize and serve the funeral dinners. Sue was a 1955 graduate of the Miami Valley School of Nursing in Dayton. As a Registered Nurse she worked for 17 years at Lutheran Hospital and then for 17 years at Parkview Hospital-Randallia. She volunteered for Family Life Care (Hospice) and was a member of the American Legion Post #43 Ladies Auxiliary. She was also an avid Bridge player, playing multiple times a week, Tuesday afternoon and evening and Wednesday afternoon. She is survived by her 2 sons, John Michael McConaha of Decatur and Patrick Allen McConaha of Monroe, OH; a daughter, Sharon McConaha Jackson of Fishers. Visitation will be from 3:00 – 7:00 p.m. on Thursday, November 15, 2018 at Haggard-Sefton-Hirschy & Zelt Funeral Home. A Funeral Service will be held at 11:00 a.m. on Friday, November 16, 2018 at Haggard-Sefton-Hirschy & Zelt Funeral Home, with calling 1 hour prior to the service from 10:00 – 11:00 a.m. The Rev. Randy Rossman will be officiating and burial will take place in the Decatur Cemetery at a later date. Memorials may be made to Family Life Care (Hospice) or Zion United Church of Christ.